The best part about Halloween is seeing all the children in their costumes. 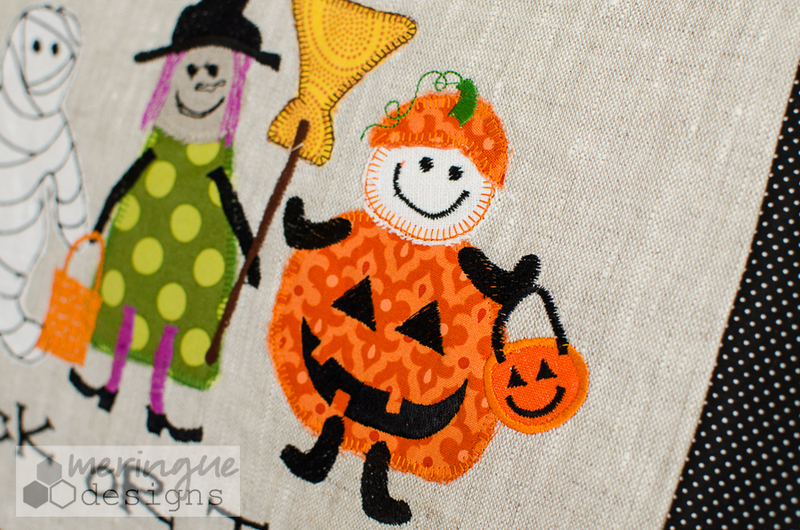 These designs are a combination of applique and filled stitches. 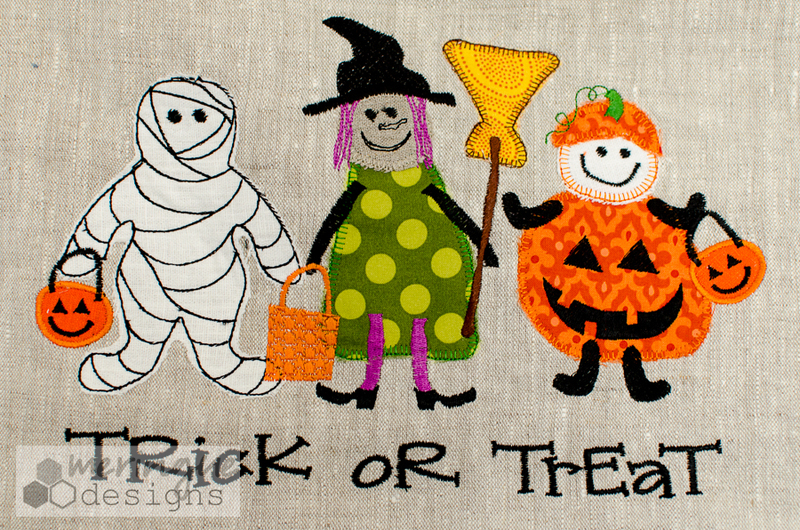 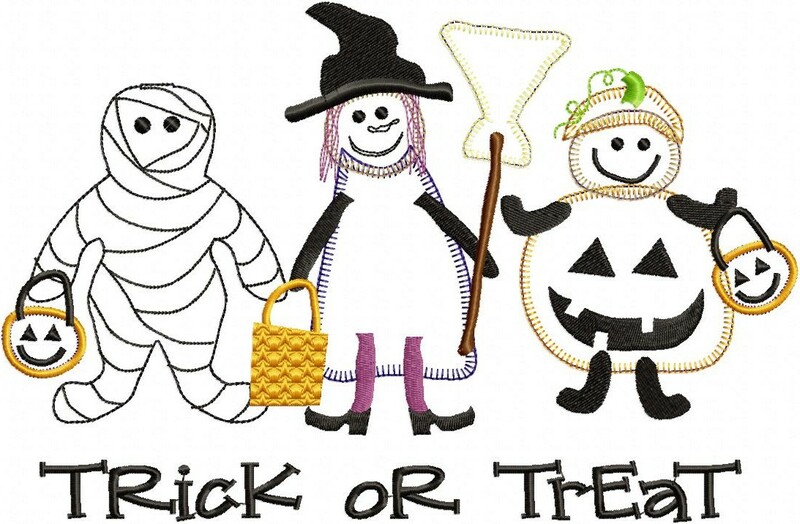 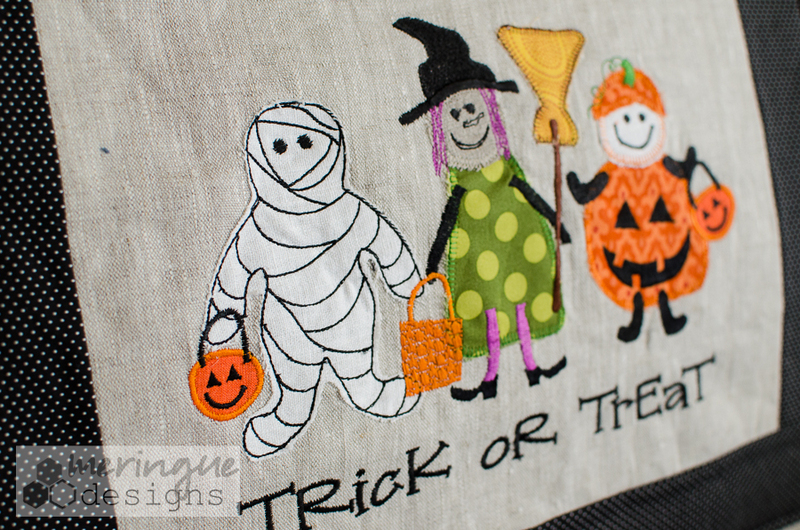 These costumed kids can be stitched all together as I did on the wall hanging, or separately. 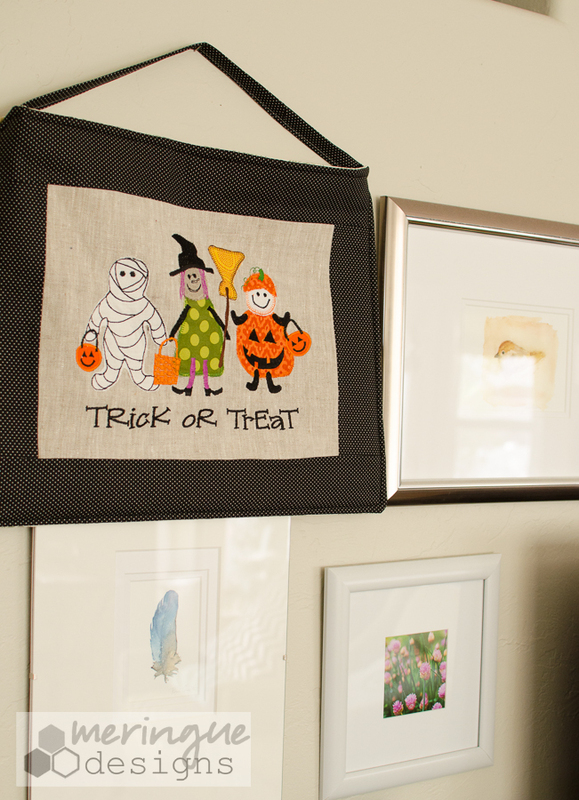 Included in this pack is a thread chart for the wall hanging since it is a more lengthy design. 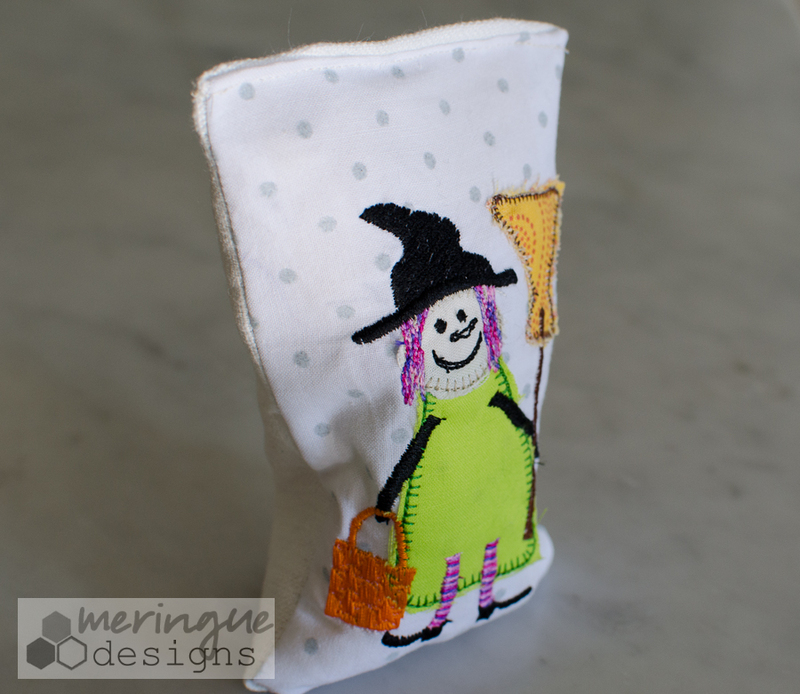 To make the stand up bean bag witch, stitch the smallest design, fill the bean bag with rice in the bottom third of the bag, then fill the rest of the way with poly fill stuffing.